If you are managing more than one equipment in your organization, it is very important to document and track ALL information about the servers effectively. 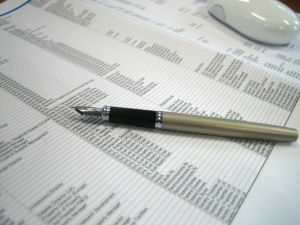 In this article, I have listed 36 attributes that needs to be tracked for your equipments, with an explanation on why it needs to be tracked. I have also provided a spreadsheet template with these fields that will give you a jumpstart. Before getting into the details of what needs to be tracked, let us look at few reasons on why you should document ALL your equipments. Identifying What needs to be tracked is far more important than How you are tracking it. Don’t get trapped into researching the best available asset tracking software. Keep it simple and use a spread sheet for tracking. Once you have documented everything, later you can always find a software and export this data to it. Sysadmins hates to document anything. They would rather spend time exploring cool new technology than documenting their current hardware and environment. But, a seasoned sysadmin knows that spending time to document the details about the equipemnts, is going to save lot of time in the future, when there is a problem. Never assume anything. When it comes to documentation, the more details you can add is better. Don’t create document because your boss is insisting on it. Instead, create the document because you truly believe it will add value to you and your team. If you document without understanding or believing the purpose, you will essentially leave out lot of critical details, which will eventually make the document worthless. Once you’ve captured the attributes mentioned below for ALL your servers, switches, firewalls and other equipments, you can use this master list to track any future enterprise wide implementation/changes. For e.g. If you are rolling out a new backup strategy through-out your enterprise, add a new column called backup and mark it as Yes or No, to track whether that specific action has been implemented on that particular equipment. I have arranged the 36 items into 9 different groups and provided a sample value next to the field name within parenthesis. These fields and groupings are just guidelines. If required, modify this accordingly to track additional attributes specific to your environment. (1) Description (Production CRM DB Server) – This field should explain the purpose of this equipment. Even a non-IT person should be able to identify this equipment based on this description. (2) Host Name (prod-crm-db-srv) – The real host name of the equipment as defined at the OS level. (3) Department (Sales) – Which department does this equipment belong to? (4) Manufacturer (DELL) – Manufacturer of the equipment. (5) Model (PowerEdge 2950) – Model of the equipment. For tracking purpose, different vendors use different names for the serial numbers. i.e Serial Number, Part Number, Asset Number, Service Tag, Express Code etc. For e.g. DELL tracks their equipment using Service Tag and Express code. So, if majority of the equipments in your organization are DELL, it make sense to have separate columns for Service Tag and Express Code. (13) Physical Location (Los Angeles) – Use this field to specify the physical location of the server. If you have multiple data center in different cities, use the city name to track it. (14) Cage/Room# – The cage or room number where this equipment is located. (15) Rack # – If there are multiple racks inside your datacenter, specify the rack # where the equipment is located. If your rack doesn’t have any numbers, create your own numbering scheme for the rack. (16) Rack Position – This indicates the exact location of the server within the rack. for e.g. the server located at the bottom of the rack has the rack position of #1 and the one above is #2. (17) Private IP (192.168.100.1) – Specify the internal ip-address of the equipment. (18) Public IP – Specify the external ip-address of the equipment. Tracking this information is very helpful, when someone accidentally pulls a cable from the server (If this never happened to you, it is only a matter of time before it happens). Using this field value, you will know exactly where to plug-in the cable. If the server has more than one network connection, specify all the NIC’s using a comma separated value. In this example (GB1, Slot1/Port1), the server has two ethernet cables connected. First one connected to the on-board NIC marked as GB1. Second one connected to the Port#1 on the NIC card, inserted to the PCI Slot#1. Even when the server has only one ethernet cable connected, specify the port # to which it is connected. For e.g. Most of the DELL servers comes with two on-board NIC labeled as GB1 and GB2. So, you should know to which NIC you’ve connected your ethernet cable. (20) Switch/Port (Switch1/Port10, Switch4/Port15) – Using the NIC field above, you’ve tracked the exact port where one end of the ethernet cable is connected on the server. Now, you should track where the other end of the cable is connected to. In this example the cable connected to the server on the GB1 is connected to the Port 10 on Switch 1. The cable connected to the server on Port#1of PCI Slot#1 is connected to the Port 15 on Switch 4. (21) Nagios Monitored? (Yes) – Use this field to indicate whether this equipment is getting monitored through any monitoring software. (22) SAN/NAS Connected? (Yes) – Use this field to track whether a particular server is connected to an external storage. (23) Total Drive Count (4) – This indicates the total number of internal drives on the server. This can come very handy for capacity management. for e.g. Some of the dell servers comes only with 6 slots for internal hard-drives. In this example, just by looking at the document, we know that there are 4 disk drives in the servers and you have room to add 2 more disk drives. (24) OS (Linux) – Use this field to track the OS that is running on the equipment. For e.g. Linux, Windows, Cisco IOS etc. (25) OS Version (Red Hat Enterprise Linux AS release 4 (Nahant Update 5)) – The exact version of the OS. (28) Date of Purchase – If you have purchased the equipment, fill-out the date of purchase and the price. (30) Lease Begin Date – If you have leased the equipment, fill-out all the lease details. (32) Leasing Company – The company who owns the lease on this equipment. (33) Buy-Out Option ($1) – Is this a dollar-one buy-out (or) Fair Market Value purchase? This will give you an idea on whether to start planning for a new equipment after the lease expiry date or to keep the existing equipment. (35) URL – If this is a web-server, give the URL to access the web application running on the system. If this is a switch or router, specify the admin URL. (36) Notes – Enter additional notes about the equipment that doesn’t fit under any of the above fields. It may be very tempting to add username and password fields to this spreadsheet. For security reasons, never use this spreadsheet to store the root or administrator password of the equipment. Asset Tracking Excel Template 1.0 – This excel template contains all the 36 fields mentioned above to give you a jumpstart on tracking equipments in your enterprise. If you convert this spread sheet to other formats used by different tools, send it to me and I’ll add it here and give credit to you. I hope you find this article helpful. Forward this to appropriate person in your organization who may benefit from this article by tracking the equipments effectively. Also, If you think I’ve missed any attribute to track in the above list, please let me know. If you liked this article, please bookmark it on del.icio.us, Digg and Stumble using the link provided below under ‘What Next?’ section. —> why not combine fun with necessity? Ocs inventory allows you to play with new open source technology and in the process you get a database of everything that is connected to the network (and has the ocs inventory agent running on it), without having to do it manually. If you want to you can also add own properties like warranty dates to the ocs inventory database. This is a pretty exhaustive list. I wonder whether there are not tracking tools (including inventory, license expiry, floating license usage, access tracking, warranty/service terms/tenure etc) or software available for automating all these? Excellent stuff. Documenting is really good thing. But I hate spending my time in documenting the inventory. Rather I would like to use tools like OCS inventory. Do we know any tool that can be used as non-root user to document the system details ? You wrote: “Don’t get trapped into researching the best available asset tracking software.” I couldn’t agree more. I’ve seen the insides of many asset tracking systems (nearly one-hundred at last count.) These include a great many of the large, medium, and small commercial offerings, as well as a range of open-source and freely-available packages. Not a single one of them stands out. And most of the time that you’re spending researching, you could be spending doing. Asset tracking is a pain in the *ss. No matter how you do it, it’s dirty, tedious, unglamorous work. And it’s mostly maintenance work. No one wants to do it. But everyone wants it done–and done well. I am with CG4 Solutions Inc. We provide Asset Tracking Software (www.cg4.com) that uses traditional barcodes, handheld scanners, and a web-based central server using a SQL database. I was just reading through the postings and thought I would add a couple of comments. Our customers spend most of their time tracking IT Assets. The list of fields provided looks comprehensive. We see most of those with almost every customer. Regardless of the types of assets you are tracking, using a spreadsheet is painful. My background is corporate finance and when in that role I would use a spreadsheet to inventory assets. I hated doing it, just like Mark Hoff and the others mention. I would always move that task to the bottom of the stacks on my desk hoping it would go away. For the last eight years I have been working with CG4 and I can say that with the strength of the mobile component of our web based asset tracking software I would have done my inventory work quickly and with a half smile on my face knowing that the painful inventory via spreadsheet was no longer a part of my life. Mark Hoff, I would be interested to have you learn a bit about what we offer and have you give us feedback. With having your head into so many asset tracking systems, I would value your opinion. You can email me at will.barrowes@cg4.com. We might be able to make it worth your time. Just wanted to thank you for writing the above article. I was just promoted to Senior Network Administrator last week, and my first assigned task was to create an extensively detailed company inventory. Your tips are incredibly helpful, thanks for allowing us to learn from your process! I’ve been looking for something like this for a while now. Thank you! One thing that I still don’t know how to track properly though, is virtual machines, physical machines running virtualization, and how the two are related. Using a virtualization cluster of several physical machines makes the whole thing that much harder. Also I often find it necessary to document the main software or services running on a servers, especially in high-availability environment where you have dedicated front-end, database, and file servers. Nice list, but I suggest checking out Spiceworks.com. pls share a IT asset inventory templet. Thank you very much for such an informative and helpful article sir ! I am currently studying masters and i have sysadmin as my specialistion . i read all your articles and and yes they have been very usefull for me as a beginer ! I need some help from you sir..can you please tel me which programming languages are necessary for me as a sysadmin apart from shell scripting ? Also , i know most of the networking concepts n my interest in programming was always very low , now i have realised its very important to know programming ! but i m confused so as to where to start from ? Can you please help me out of this ? Thanks a Lot for your efforts sir !